Hollywood legends Tom Hanks and Steven Spielberg unite for the fourth time with 2015’s Bridge of Spies. In 1957, the FBI apprehends Rudolf Abel (Mark Rylance), a man accused of being a Soviet spy. Though his case comes with a radioactive air, someone needs to offer a legal defense for Abel. Despite his background in insurance, lawyer James B. Donovan (Hanks) agrees to the gig. This causes friction at home, as many Americans view Donovan as a traitor, but he still does his best to give Abel a fair shake – and the two become friendly in the bargain. The situation complicates even more when US spy plane pilot Francis Gary Powers (Austin Stowell) gets shot down over Soviet territory. Eventually this leads toward a potential spy swap: Abel for Powers. We follow Donovan’s efforts in this endeavor and the snarls along the way. We last saw Spielberg behind the camera for 2012’s Lincoln, a movie that often seems similar to Bridge. Both offer historical dramas, of course, and they also share a certain “classic structure”. Spielberg gives the films a dignified, restrained tone that eschews flashiness or gimmicks. This means Spielberg doesn’t reinvent any wheels with Bridge, and that’s fine with me, as I think he delivers the kind of serious – but not ponderous – attitude the story needs. Perhaps the movie could boast a bit more energy, but it still manages to give us a concise, engaging take on the history and characters involved. Actually, we get a bit of Capra as well, for Bridge occasionally evokes Mr. Smith Goes to Washington. Hanks has always been a bit of a Jimmy Stewart figure, and the way in which the embattled Donovan does the right thing despite external pressures gives off that Mr. Smith vibe. Spielberg ignores corniness, though, and he doesn’t wear the Capra elements too heavily on his sleeve. It’s really more of a Capra flavor involved – it’s not like Spielberg goes full-on homage ala something like The Majestic. 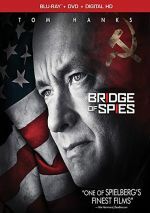 Hanks is about as reliable a professional actor as you’ll find, and he does well in Bridge. Honestly, I think we now take Hanks for granted, as he’s not received an Oscar nomination since 2000’s Cast Away. That’s a shame – as in almost everything he does, Hanks elevates the material with his Bridge performance, so it’s too bad he doesn’t get awards recognition. At least the lesser-known Rylance received an Oscar nod for his turn as Abel, and he deserves it. Rylance delivers a nicely subdued take on the accused spy, one that doesn’t telegraph anything. He manages to turn a potentially cartoony part into a rich, vivid character. No one will mistake Bridge for one of Spielberg’s best films, but given the amazing highs of his early years, that’s no crime. Bridge gives us the best traits of 21st century Spielberg, as it presents a professional, engaging drama without overt flaws. Bridge of Spies appears in an aspect ratio of approximately 2.40:1 on this Blu-ray Disc. The movie came with a very good transfer. Sharpness was solid. Only the slightest sliver of softness ever appeared, as the vast majority of the film seemed accurate and concise. I noticed no issues related to jagged edges, shimmering or edge haloes. No source defects marred the presentation, either. One wouldn’t anticipate bold colors from a period film like this, and Bridge went with a stylized palette that meant a mix of blues and tans. Within those parameters, the colors appeared strong. Blacks were dark and dense, while shadows looked clear and distinctive. I felt impressed with this fine presentation. Though not quite as memorable, the movie’s DTS-HD MA 7.1 soundtrack suited the material. Given the film’s emphasis on character and court drama, it didn’t come with tons of room for involving material. That said, Bridge delivered a few dynamic scenes – like those with jets – and gave us a good feel for the different settings. For instance, shots in a subway station moved the trains in a highly satisfying way. The soundscape didn’t often dazzle, but it always created a nice sense of place. A few featurettes flesh out the set. A Case of the Cold War runs 17 minutes, 45 seconds and offers comments from director Steven Spielberg, screenwriter Matt Charman, producers Kristie Macosko Krieger and Marc Platt, Cold War Museum founder Francis Gary Powers Jr., movie subject Frederic Pryor, editor Michael Kahn, and actors Tom Hanks, Mark Rylance, Billy Magnussen, Scott Shepherd, Alan Alda, Amy Ryan and Austin Stowell. The show looks at story/history and the adaptation to the screen, cast and performances, and editing. “Case” doesn’t tell us a lot about the film, but it offers a decent overview of historical elements. Next comes Berlin 1961: Re-creating the Divide. It lasts 11 minutes, 35 seconds and features Hanks, Spielberg, Charman, Pryor, Krieger, Platt, director of photography Janusz Kaminski, technical consultant Jane R. Helmchen, costume desinger Kasia Walicka Maimone, and production designer Adam Stockhausen. We learn about the Berlin Wall and the movie’s version of it. 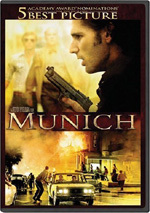 Like “Case”, this one offers a satisfactory combination of history and filmmaking material. U-2 Spy Plane goes for eight minutes, 45 seconds and delivers details from Powers, Krieger, Stowell, and Air Force Entertainment Liaison Develyn J. Watson. Like “Divide”, this one combines historical elements with some filmmaking components. It becomes another pretty interesting piece. Finally, Spy Swap: Looking Back on the Final Act fills five minutes, 42 seconds with info from Powers, Stowell, Pryor, Kaminski, Krieger, Hanks, Charman and sound designer Gary Rydstrom. Once again, we get a mix of history and movie-making. The show works well despite its brevity. A second disc offers a DVD copy of Bridge. It includes “A Case of the Cold War” but lacks the other extras. Professional and dignified, Bridge of Spies offers a solid period drama. While I can’t claim the movie dazzles me, it gives me a fully engaging slice of history. The Blu-ray boasts very good picture and audio as well as a modest selection of supplements. Bridge becomes a strong effort.